I just need the first part sorry! I know that r stands for radius, but I can't find a list of other specifiers. A link to a list would be (probably) the most helpful. Thanks! 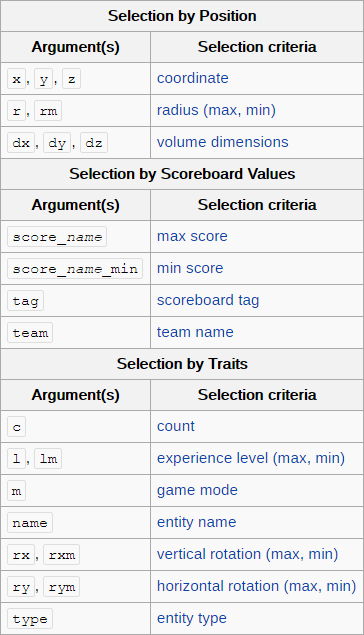 To select players with POINTS >= 750, you should be using the score_name_min argument, and your selector should look something like @a[score_POINTS_min=750]. Minecraft Scoreboard stat.mineBlock won't work?